Modric, Griezmann or Ronaldo – Who Deserves the Ballon d’Or? 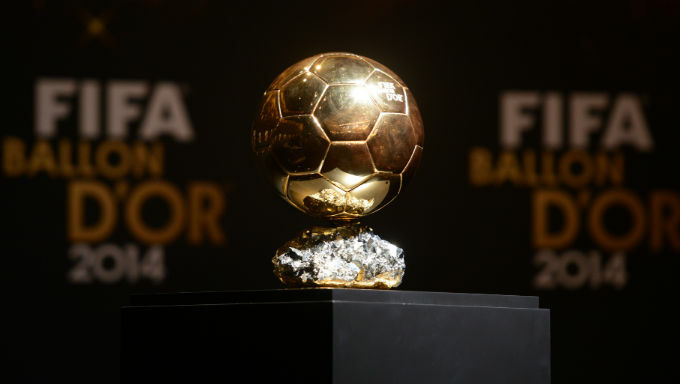 It’s that time of year again where the hotly-contested Ballon d’Or is up for grabs among the best football players in the world. There have been many fascinating moments this calendar year, from Real Madrid winning a third consecutive Champions League to France lifting their second World Cup and Croatia making it all the way to the final. With plenty of pundits offering their suggestions over who is worthy of such an accolade and for what reasons, here is Liam Canning’s top three and who should lift the prestigious award. There isn’t a lot more to say about a serial winner like Cristiano Ronaldo. The Portuguese superstar won another Champions League with Real Madrid under Zinedine Zidane and dragged Portugal as far as he could in the World Cup, getting knocked out to the warriors of Uruguay in the round of 16. Ronaldo’s output is remarkable and in no way on the decline. In his 18 appearances this season for Juventus, he has found the back of the net on 11 occasions, which is ridiculous given he is occupying the left wing, not the striker’s position, and playing in the Italian league for the first time. In 2018, the Portugal international scored 34 goals in 29 appearances, leading Real to unprecedented success in Europe and adding to his trophy cabinet once more. That makes his over total for 2018: 45 goals in 47 matches. 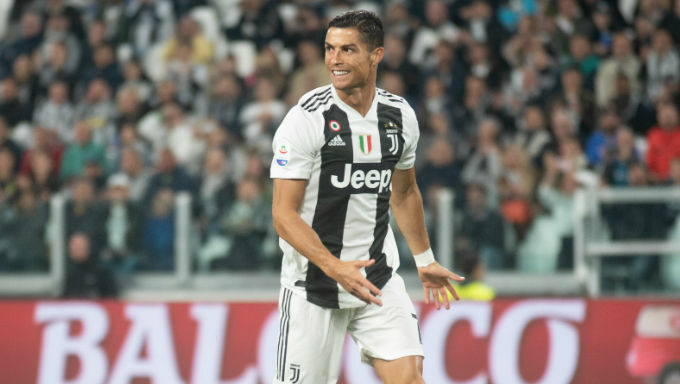 Ronaldo is a born winner and will hope that he can lead Juventus to their first ever European, top-tier success for the first time since 1996. The Bianconeri, under Massimiliano Allegri, are 6/1 to be crowned Champions League winners this season with Paddy Power and look to be in a healthy position right now. The Portuguese superstar might not have had the same effect on his national team as the other two in this list, but there has been no better player for their club in 2018. Ronaldo had, at times, won games single-handedly for Real, while he is making quite the impact for Juventus since joining in the summer. Perhaps surprisingly, Ronaldo is at the longest odds from these three, with Betfair offering the forward at a massive 33/1 on the day of the awards ceremony. 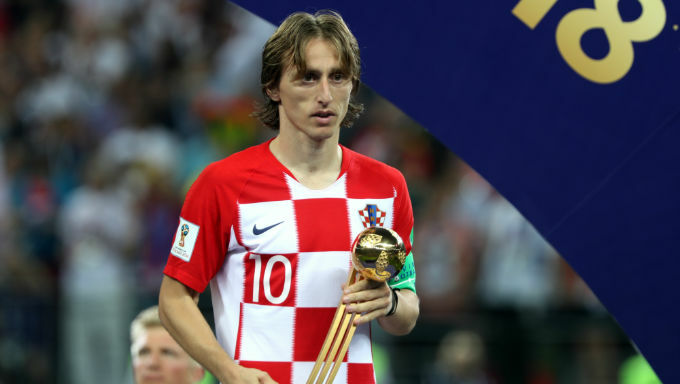 Arguably the best midfielder on the planet, Luke Modrić has had an immense calendar year which saw him lift his fourth Champions League in five years, as well as leading his Croatia teammates to a World Cup final – a remarkable achievement for a country that has a population of just four million. The Croat is a special player, adding to both defensive duties and attacking affluence for club and country. Modrić might be 32, but he has elevated his game this year and was fundamental in Croatia’s success over the summer, driving the team forward alongside compatriot Ivan Rakitić in midfield. When tasked with the job of nullifying England’s midfield in the World Cup semi-final, Modrić rose to the occasion and was the best player on the pitch. Even when he, and his teammates, had played two games previous that had gone to extra time, Modrić looked fitter than any other player on the pitch in the dying minutes of the game, dribbling past the opposition with ease and creating chances that eventually led to Mario Mandžukić’s winner. The midfielder also picked up the World Cup’s Golden Ball, the reward given to the best individual player of the tournament. Modrić’s tireless performances throughout the first half of the year have caused a bit of a drop in form this season for Los Blancos, but the chaos with Julen Lopetegui before he was sacked had not helped the midfielder settle into the new campaign. The sheer amount of games also looks to have finally caught up with the Croatia international somewhat, which is not totally surprising given the sacrifices he has made on the pitch. The midfield controller is, in fact, favourite to lift the award and priced as short as 1/10 with Unibet and 5/6 with Betfair. The last time anyone other than Lionel Messi or Ronaldo has won this prize was back in 2007, so it would be quite the revelation should the Croat become the victor. Antoine Griezmann has had a special year, winning France’s second World Cup and having a huge part to play in Atlético Madrid’s Europa League triumph. What was so special about Griezmann was that he pioneered Les Bleus under Didier Deschamps and put on a magical, attacking display for fans across the world to see. The Frenchman ended up with four goals in the World Cup, finishing second in the Golden Boot award behind England’s Harry Kane, who scored six times. Griezmann is not a typical centre forward and has a lot more input into the team’s attacking prowess. Whereas some strikers are constantly on the last man in defence, waiting for the ball over the top, Griezmann is constantly dropping deeper or moving out wide, creating space for others to run into in what is a fluid system for both club and country in an attacking sense. Perhaps he doesn’t get enough credit for what he has done for France, but he does for Atlético under Simeone. The France-born star has been one of Diego Simeone’s talismanic players over the last few seasons and they will be counting on him once again this year to challenge for La Liga’s title. Griezmann had a spectacular 2018, scoring 35 goals in 64 appearances as of early December, but is likely to finish behind Ronaldo and Modrić in the pecking order. The Frenchman is 7/2 to win the Ballon d’Or with Unibet and 888Sport, which would be considered quite the upset.